Ring in 2018 with all your Friends at Hedonism II Resort in Negril, Jamaica December 26 - January 2, 2018 . Join us for seven nights of pure party at the #1 lifestyle Resort. 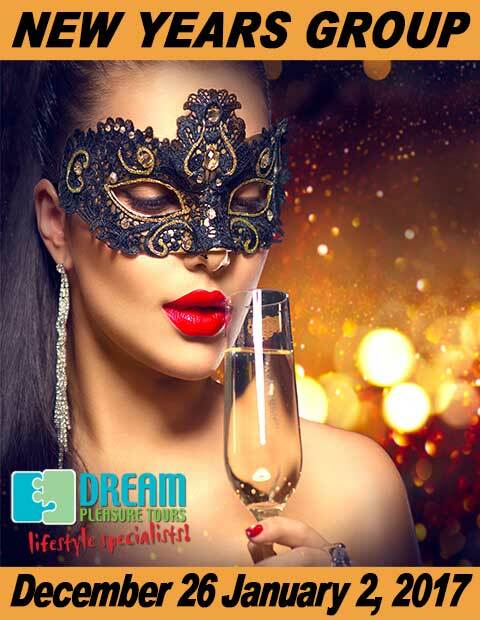 Join your Dream Pleasure Tours staff for an incredible party week and ring in the New Year like never before! This is proven to be one of our best group weeks of the year with great parties, meet & greets and entertainment! You can't beat it! The pool parties are outstanding with poolside DJ's and games. The evening entertainment is phenomenal with hopping parties in the piano bar as well as the beach bar and even in the courtyard! Take a week to stick your toes in the sand and feel the Caribbean sun on your skin. Enjoy top shelf alcohol and wonderful specialty restaurants! Relax as much as you want and party whenever you want. Spend time with old friends and make a few new ones! Make some incredible memories and have stories that you can't tell! Dream Pleasure will alway give the lowest US group rate and we welcome you to compare or prices with the resort and other websites. We are proud to provide you live booking and transparent pricing. Any cancellation made Before 08/26/17 is subject to a 50 Dollar cancellation fee.